Review: Since the early 1990s, Marco Repetto has been releasing material under a wide variety of aliases, most notably Bigeneric and Planet Love. 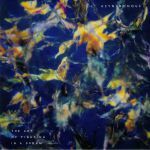 Now, almost 30 years after his debut release, the Swiss producer has brought the two projects together on one hugely impressive set. 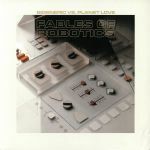 Fables of Robotics contains a mix of previously unheard material from both projects, plus material that has never before been committed to vinyl. 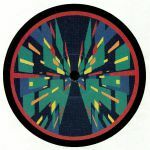 It's a hugely satisfying and entertaining affair that sprints between spacey, tuneful takes on classic Detroit techno, trippy, off-kilter late night deepness, proto-progressive house, deep space ambient and mid-'90s style British "intelligent techno". There's much to admire throughout and little in the way of filler. In other words, it's a fine release from a hugely talented and storied producer. Review: Like many of Saverio Celestri's releases, this return to regular home Slow Life is a collaborative affair, with production duties shared by debutant Late Consequence (in reality an experienced Italian producer operating under a new alias). The duo kicks things off with the spacey bounce of "Consequence", where computer beeps and bleeps rise above heavy analogue bass, locked-in techno drums and flotation tank chords, before offering a subtle nod towards early UK bleep techno on sub-bass heavy workout "The Wheel". 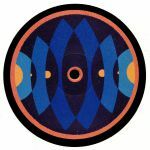 Turn to the flip for some deeper, purist tech-house vibes (the deep house influenced warmth of "This Is The Universe") and the sparkling, head-in-the-clouds tech-funk of "Celestial".